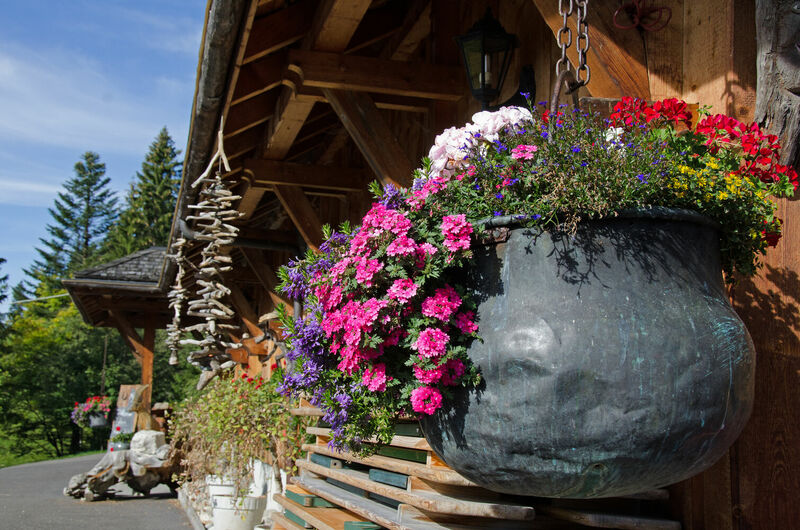 Right in the heart of an idyllic mountain landscape, adjacent to the hiking trails and skiing pistes, lies the Berggasthaus Herrenboden. Enjoy the tranquil and wonderful location and bask in an incomparably warm atmosphere. For groups, upon request, we are happy to open on Monday to Friday in the evening as well. The restaurant seats 80 people and also features a large sunlit terrace, the Sternen bar and the little Arven hall. The youngsters can romp around on the playground or observe the donkeys, goats and other animals while the adults get pampered by our super friendly service team. During the day we serve our daily menus and a small selection of à la carte dishes. From 18:00 h, you can choose from the many specialities on our evening menu.